Exclude Sales Tax for Specific User Roles with WooCommerce - Western Web Doc - Modern marketing made simple. Have you ever needed to remove sales tax for a specific user role in WooCommerce? A commom instance of this application would be for re-sale customers shopping at your store which in many states are not required to pay tax. I am going to show you how to remove sales tax/VAT for specific user roles. First you are going to want to create a unique user role within WordPress. I do this with the User Role Editor plugin. This plugin is easy to use with many features to customize user roles. Once you have the plugin installed you are going to navigate to Users –> User Role Editor in the WordPress admin sidebar. When the page loads click “Add Role”. Make sure to take note of the Role Name (ID) field you enter. You will need this for the code later. Next you are going to want to head over to Appearance —> Editor to make some modifications to your functions.php file. 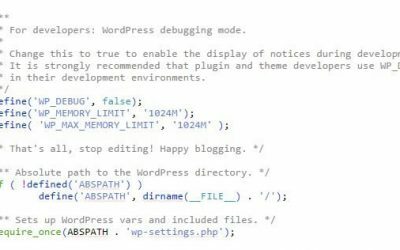 Some WordPress installations will have the editor disabled for security reasons. If this is the case it is easiest to modify the file via FTP. Make sure to be using a child theme so you won’t lose your updates when your theme is updated. Paste the code below into your child theme functions.php file. Make sure to replace ‘role-1’ with the Role Name (ID) you created earlier. I am having problems making variable product tax at checkout. It works for simple items but not for variables. Can you be so kind to take a look into this code and advise. I tried almost all possible combinations. Hello, I also found the same problem, did you solve it? Great snippet! One issue I have run into is that if the user role (dealer in my case) has a failed credit card transaction then the sales tax comes back on the next process. Is there any way to account for this? Hi thanks for the tutorial, we have used this technique. How would we get it to set them back to paying tax if they have been set to be tax-exempt by mistake. Hey! Do you have any suggestions for how to acquire the ID of a role that already exists? For example, I already have a Dealer role established, but I don’t know how to get the ID to input into your code. It was a role I already established and set up through another application. If I can find the ID of an existing role, then I could use your code. Works GREAT. Thank you so much. In case others find this, I had already set up a Dealers Level within PaidMembershipsPro, and used pmpro_role_X (and replaced X with the number appended into the Level URL (Memberships/Membership Levels/Edit–then you see the Level ID). We have noticed an issue where a tax-exempt order gets tax added after it has been viewed in the order admin system – has anyone else seen this? Great snippet. Can you provide a modified snippet to be able to apply this to more than 1 user role? I guess that a common instance of this application would be for re-sale customers shopping at your store which in many states are not required to pay tax. This worked great! We also need to allow a certain user the ability to put in their tax id number at registration or even upload a file. Is there another plugin that might be compatible with this one for those options? is this possible to work for more than one user role? Any idea how I could remove the Excise Rate but keep the Standard Rate based on user? Great solution, but it’s not being applied on the checkout. It is working correctly within the cart, but as soon as I’m in the checkout a form of tax is being applied. Great Snippet! One issue I am running into is if the user role (dealer in my case) has a failed credit card transaction, then the sales tax appears on the next attempted process. Is there any way to account for this?